Wash and pat dry the beans, chop them fine, add salt, turmeric powder, chopped onion, green chilies and mix well with clean hands or spoon. Heat up a kadai/pan, pour coconut oil, add mustard and let it crackle. Add curry leaves, red chilies and the yard beans mix. Saute it well for two-three minutes, simmer the flame to medium heat and let it cook till done or till raw smell of beans vanishes. 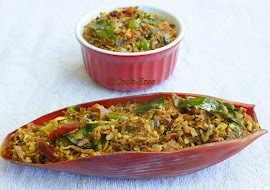 Add grated coconut, few more curry leaves and saute well again. Take off the stove and drizzle a spoon of coconut oil if desired(It adds taste). 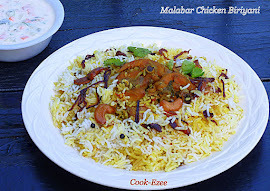 Serve with boiled Rice and Moru Curry. Payar thoran kazhichittu kalam kure aayi...ivide frozen annu kitta...its just waste..Thoran looks yummy.. Very nice , love to have with sambar rice..
Simple,healthy and delicious stir fry..loved the bright colour! Super healthy and my kind of stir fry. 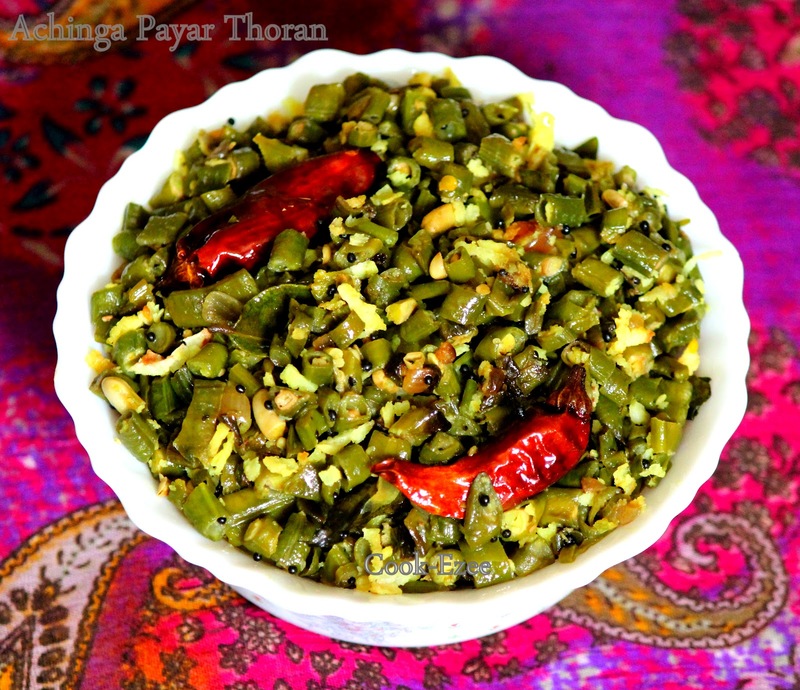 lovely thoran prathibha.. wish I could've that today with rice.. Visiting your space after a long time...Nice new header....looks good. 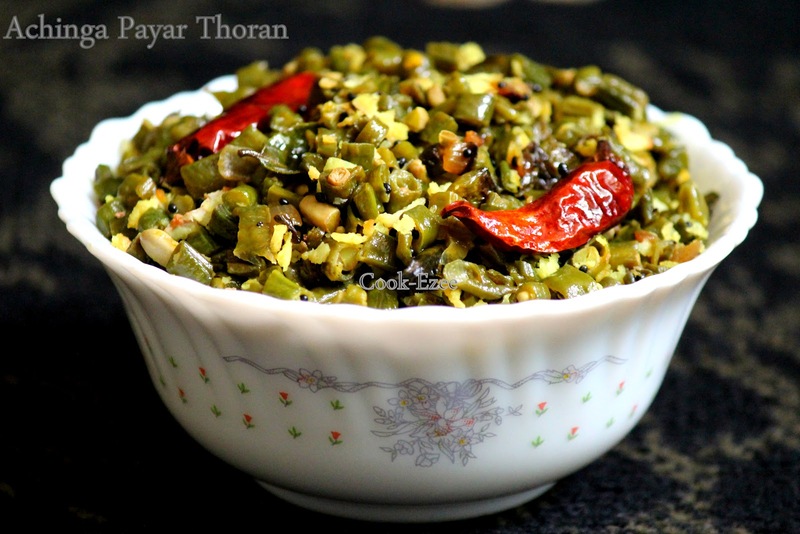 I love this thoran looks delicious. wow dear !! !delicious stir fry recipe with long beans !!!!!!! 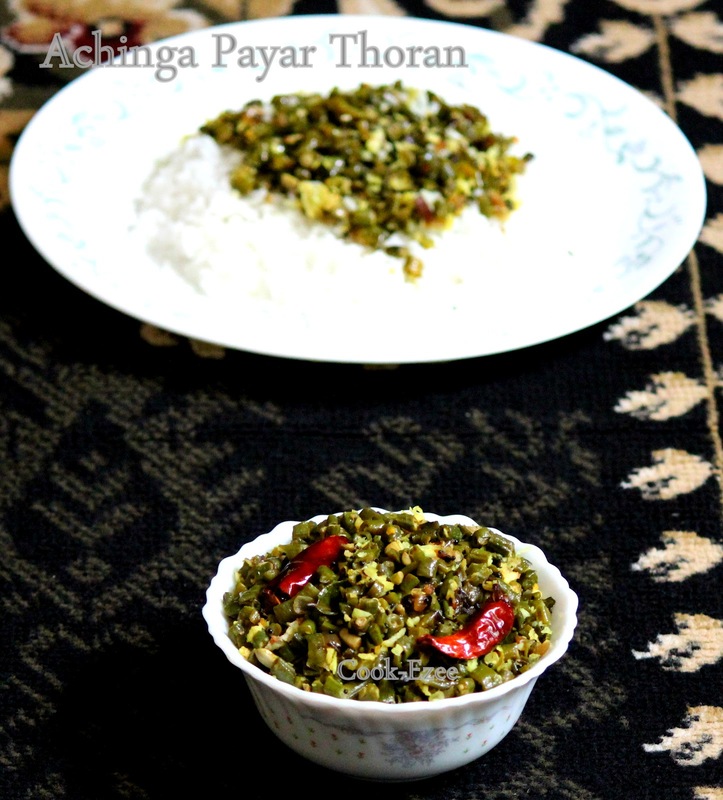 Its my fav thoran.. Its delicious & healthy..